Add these ingredients to a glass bottle and then give it a good shake. It really is that simple! 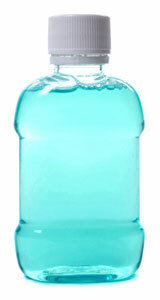 The list may seem like a hassle, but in the long-run you’ll be saving a LOT of money by making your own mouthwash. Thank us later!